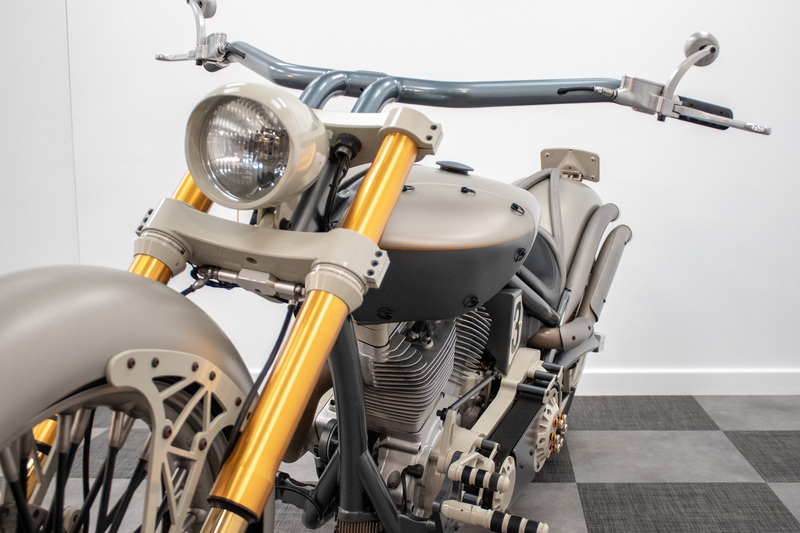 One of the last true custom motorcycles to leave the workshop of Battistinis Custom Cycles in Bournemouth. 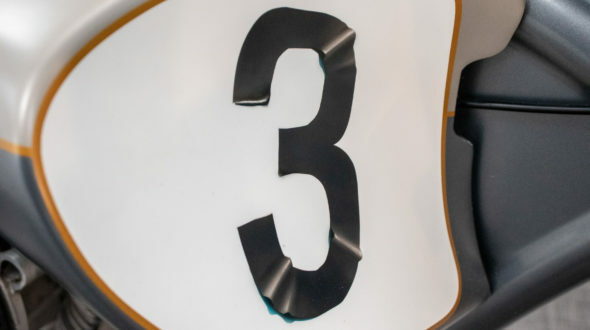 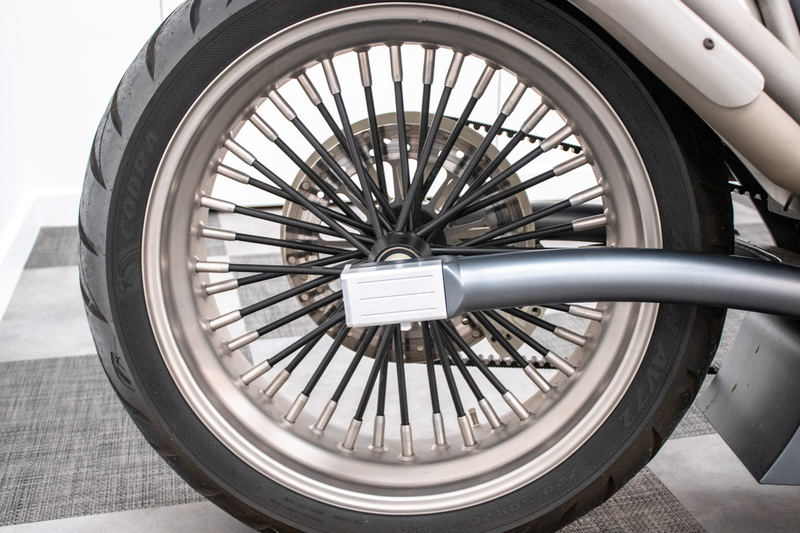 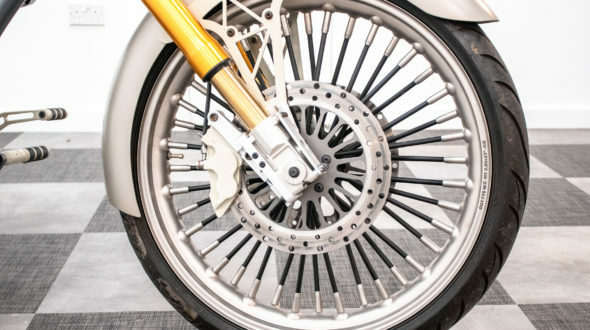 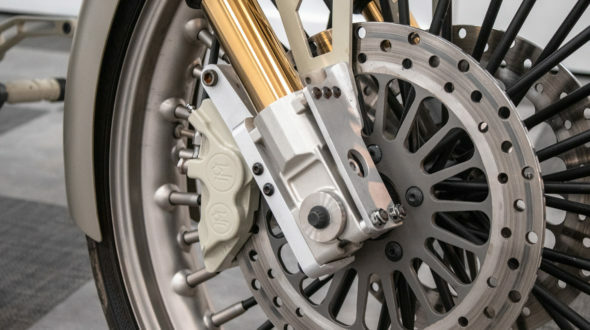 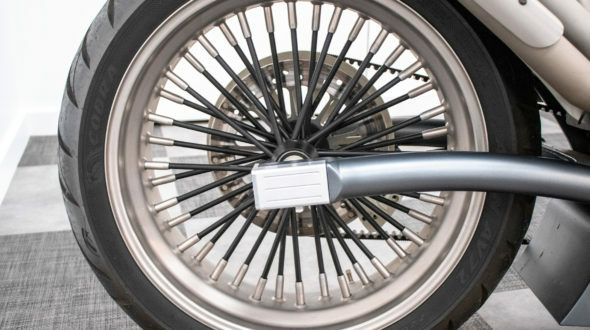 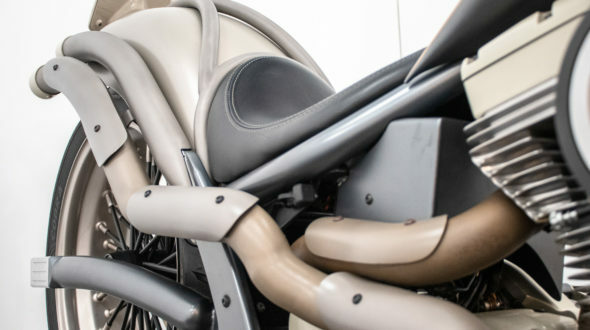 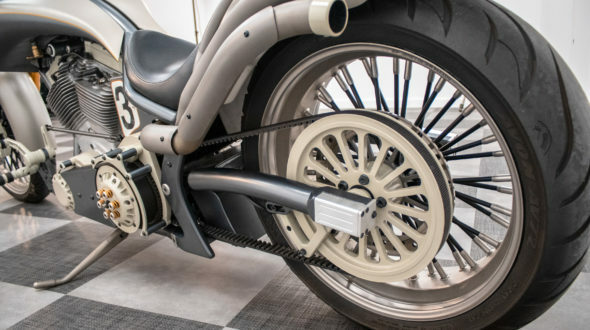 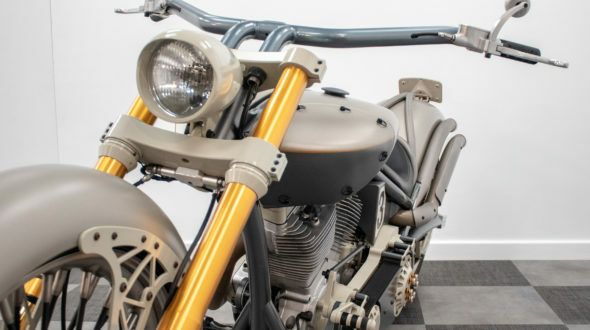 This motorcycle was designed and fabricated from the ground up. 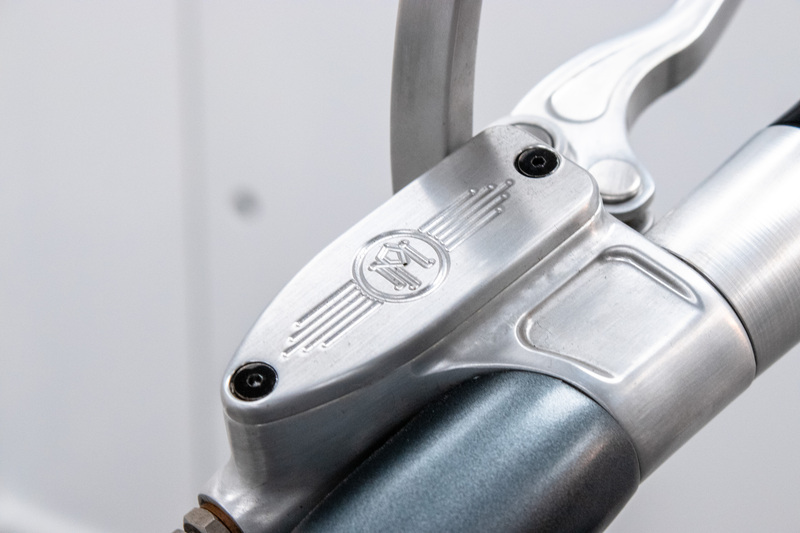 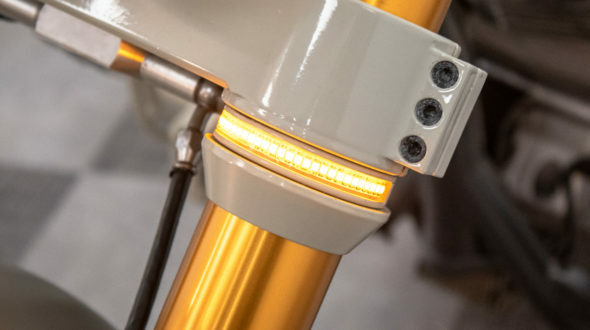 Utilising only the best components, seamlessly working together with parts manufactured exclusively for this bike. 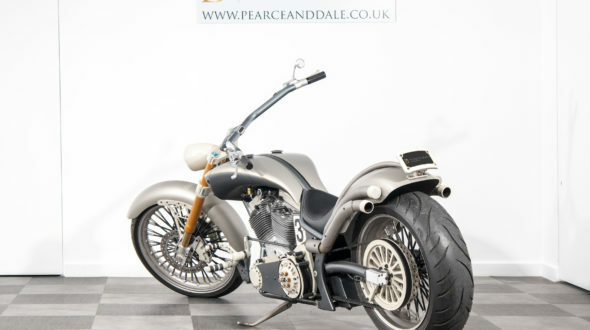 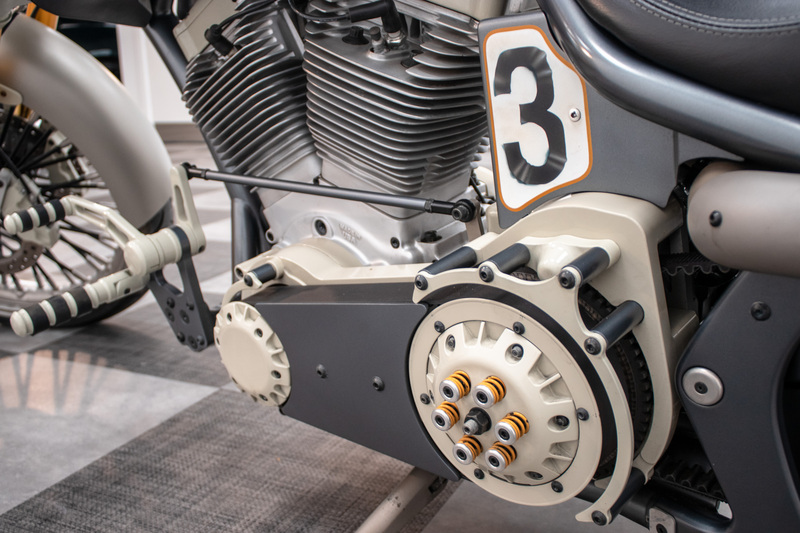 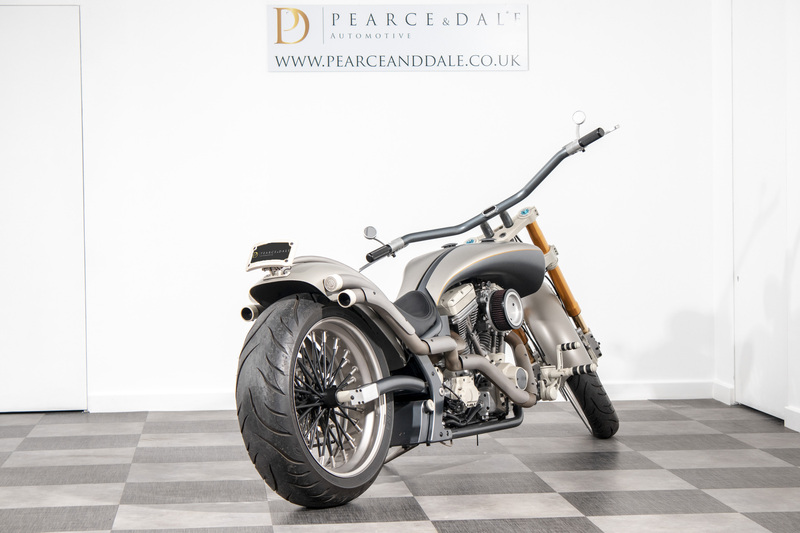 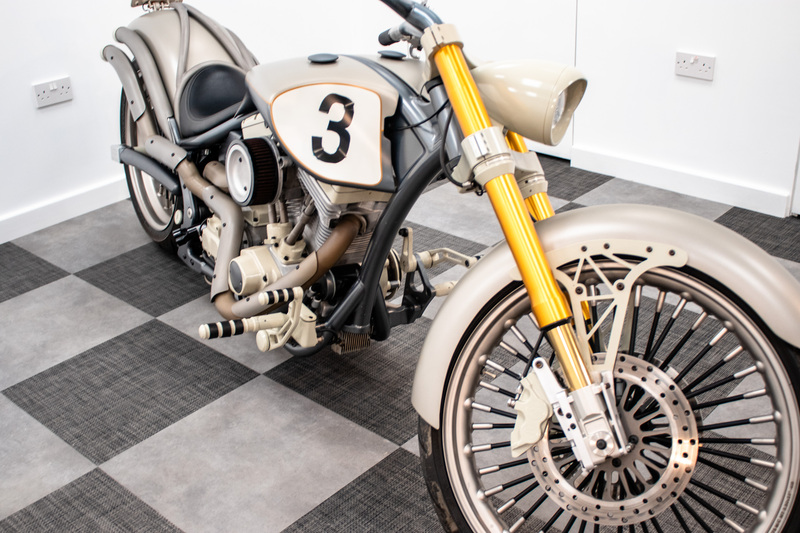 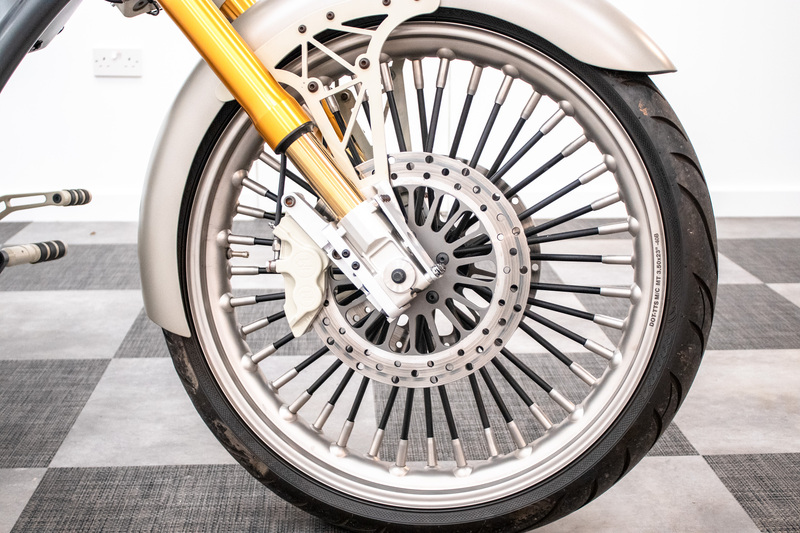 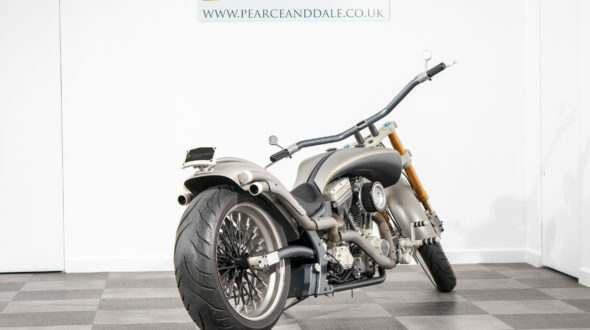 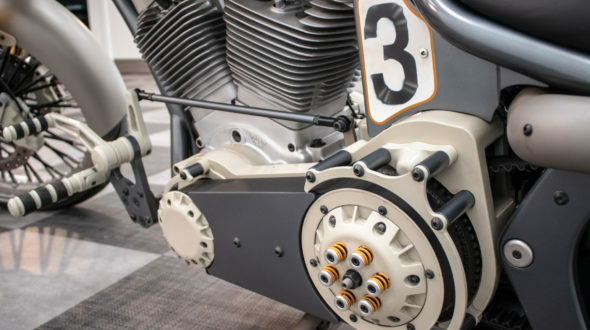 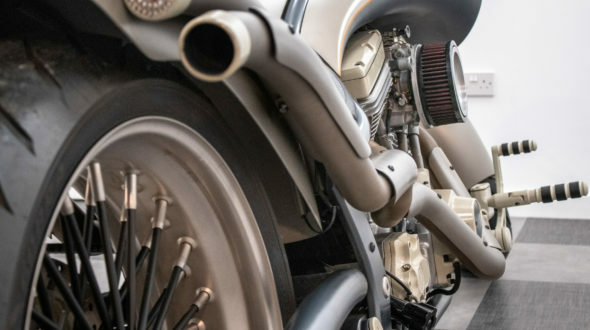 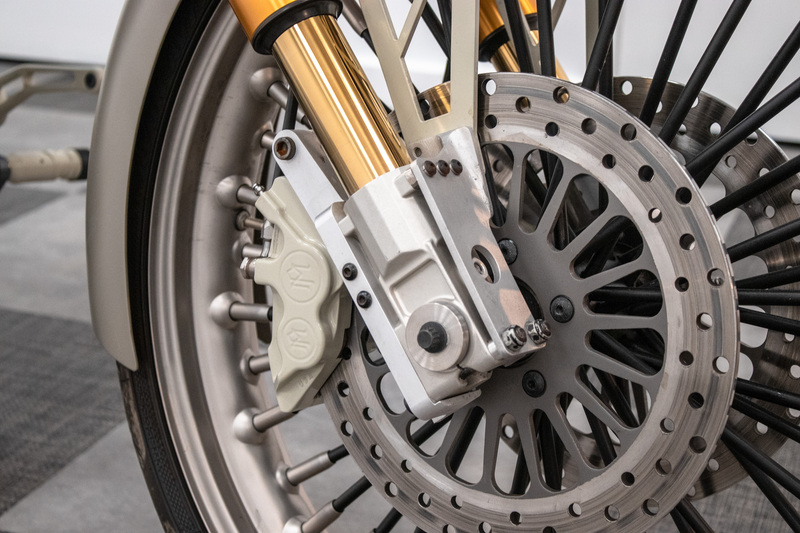 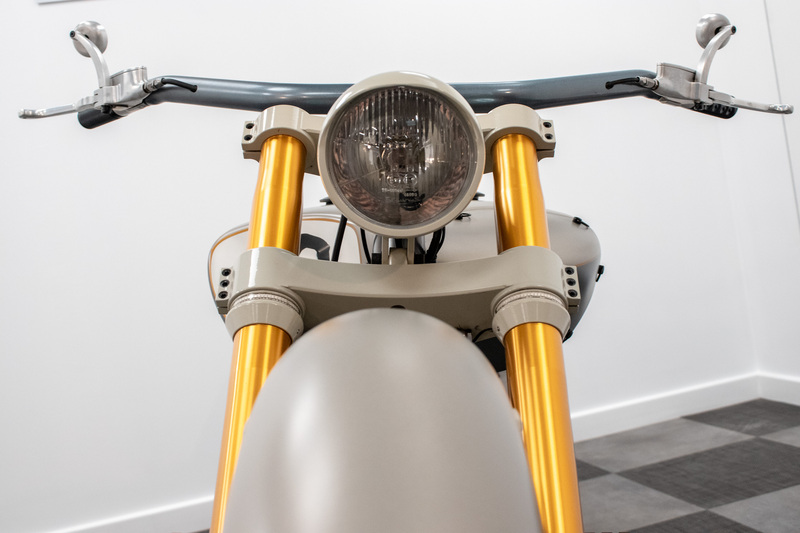 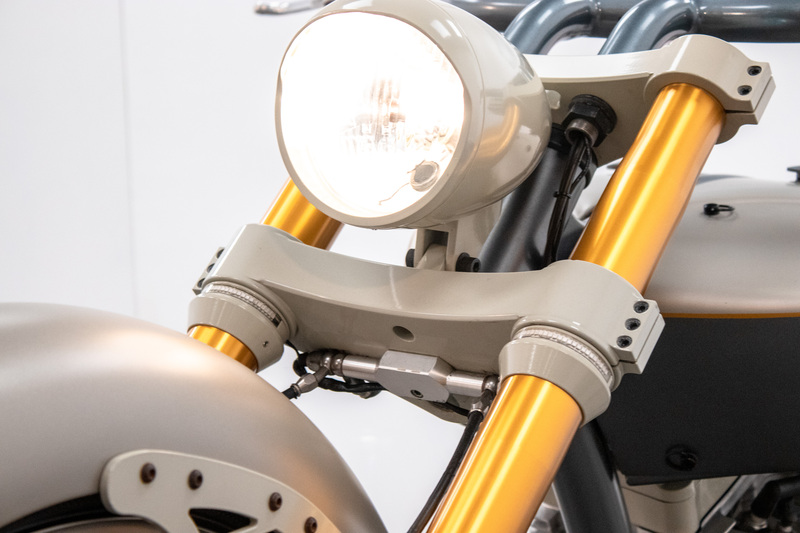 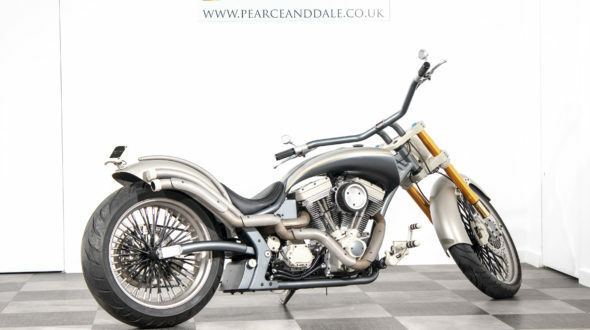 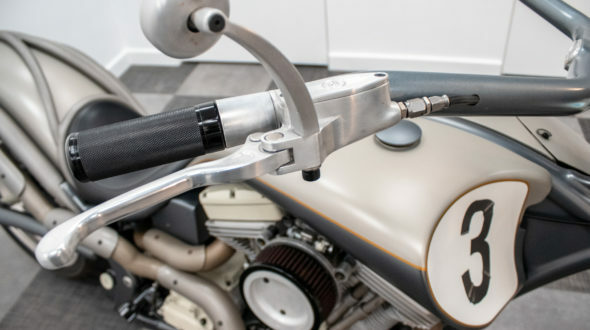 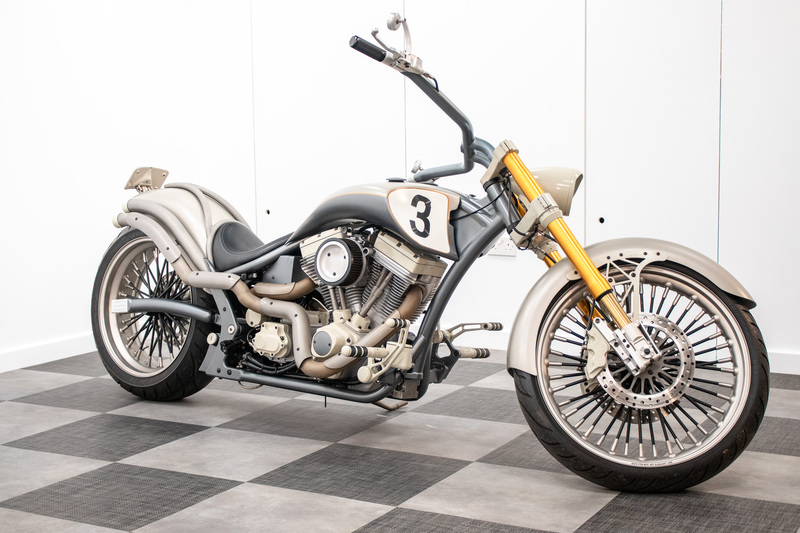 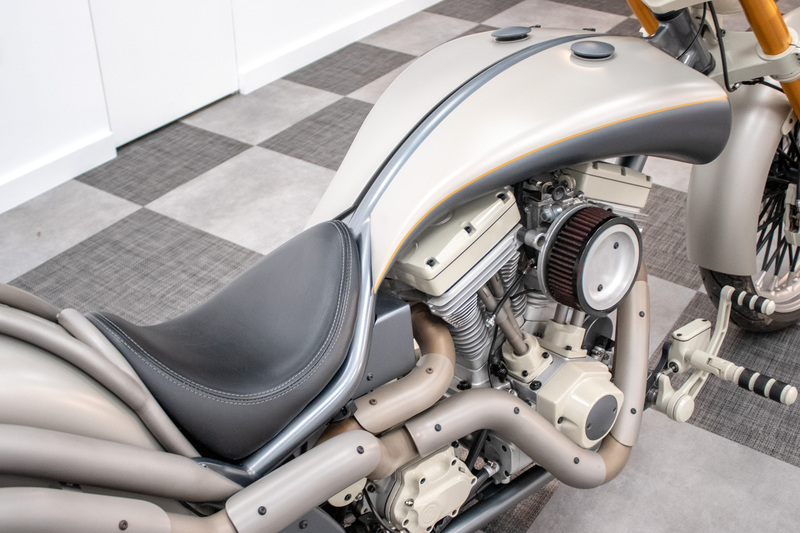 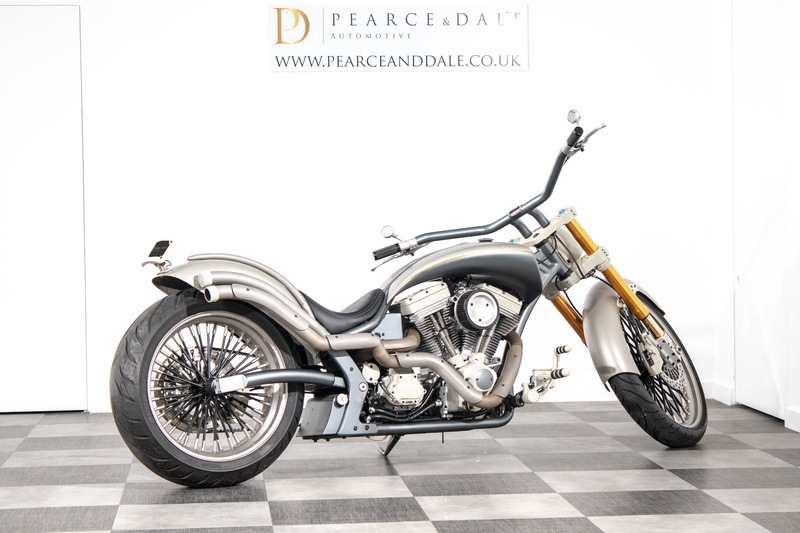 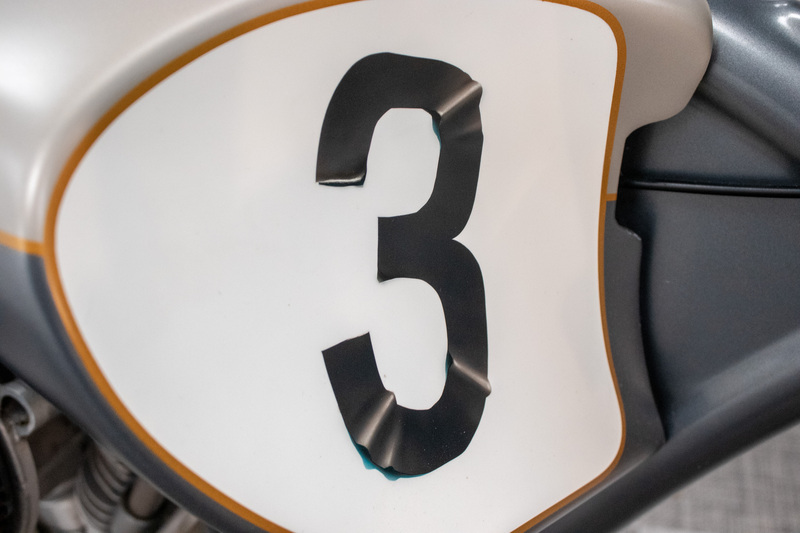 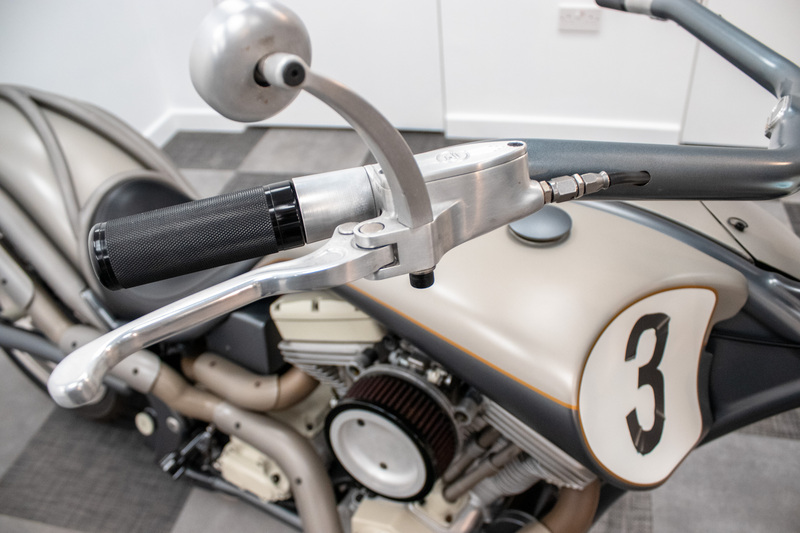 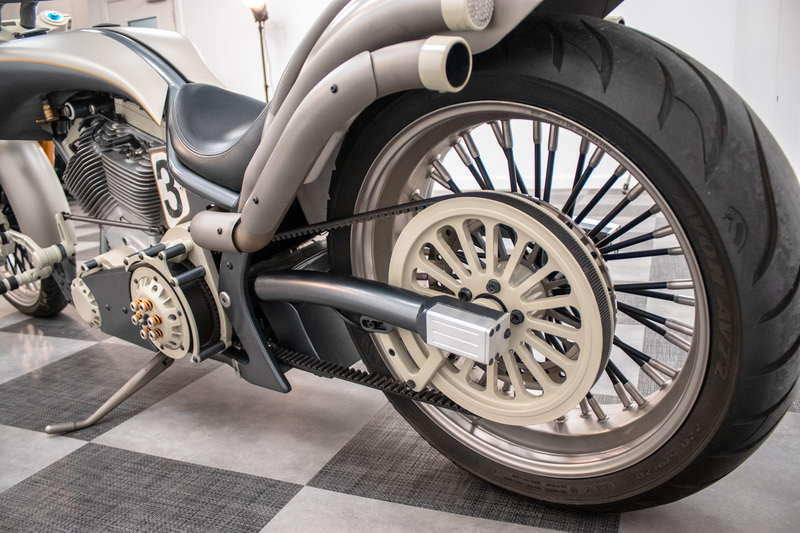 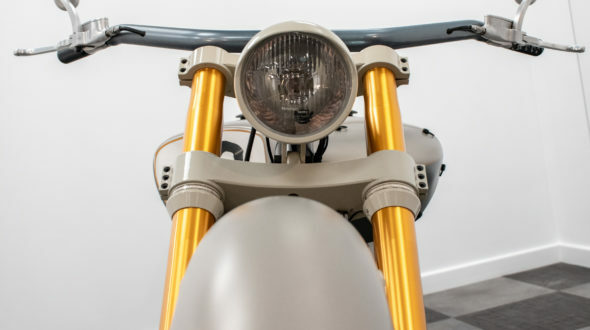 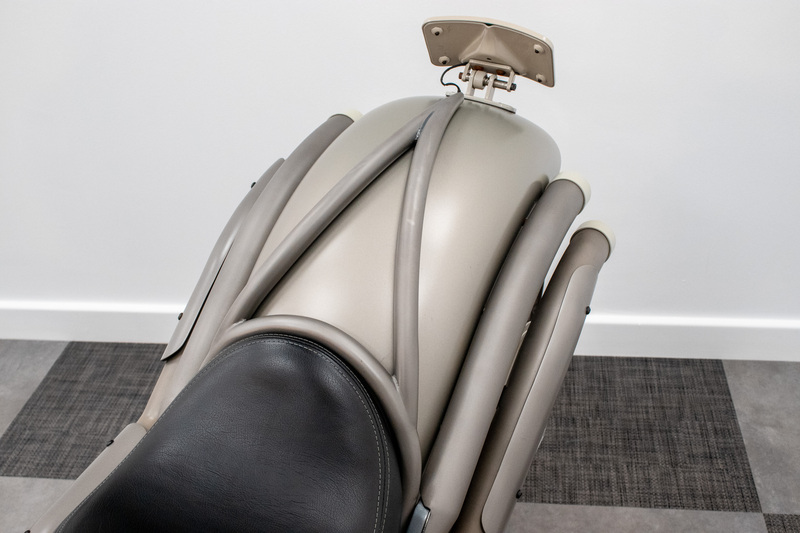 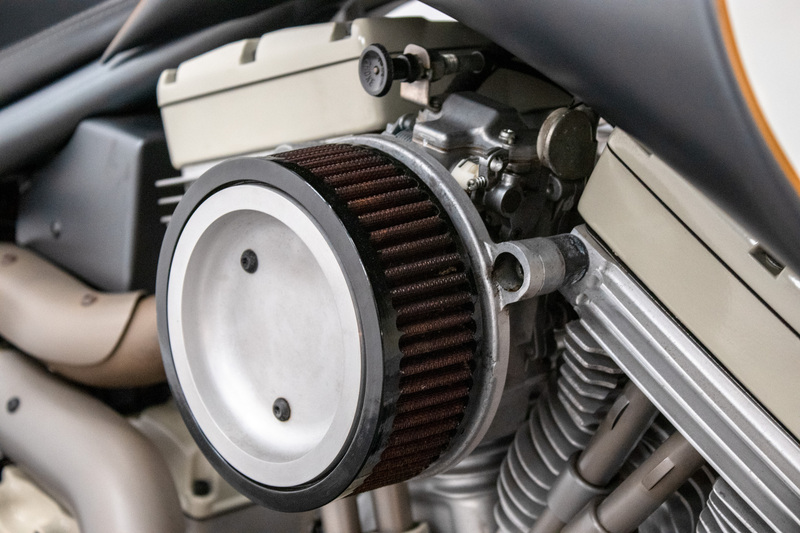 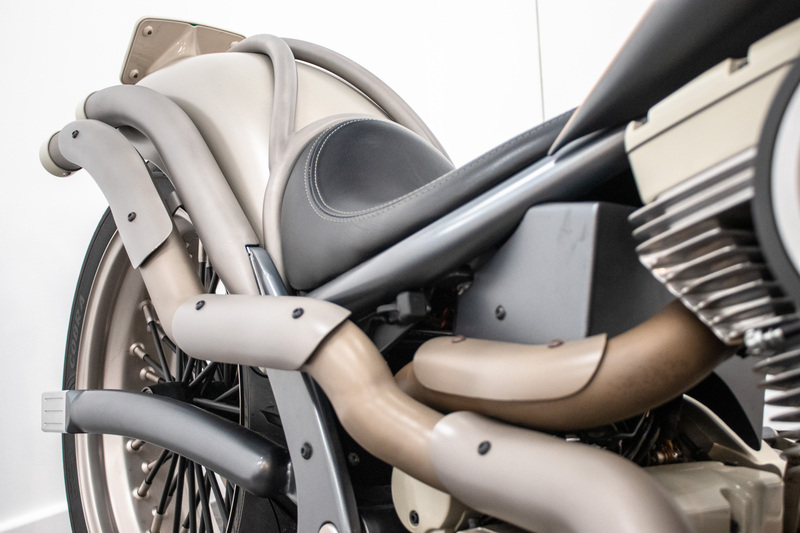 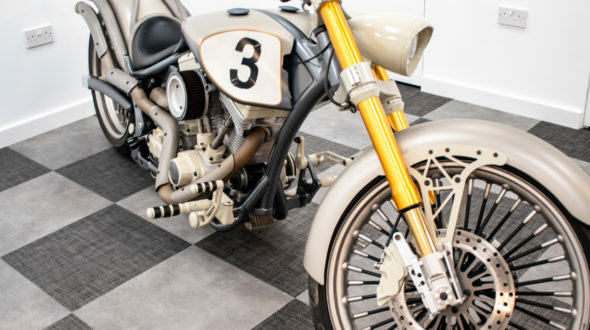 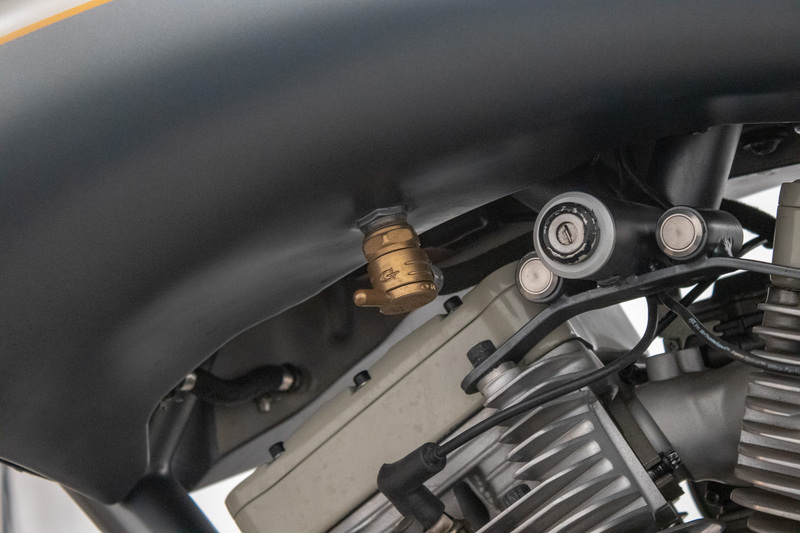 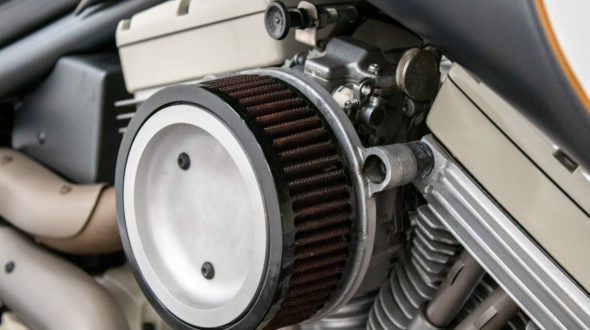 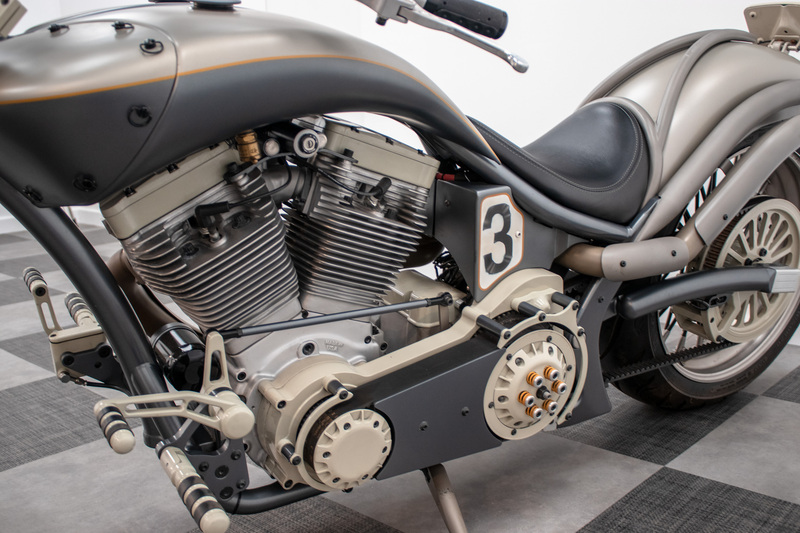 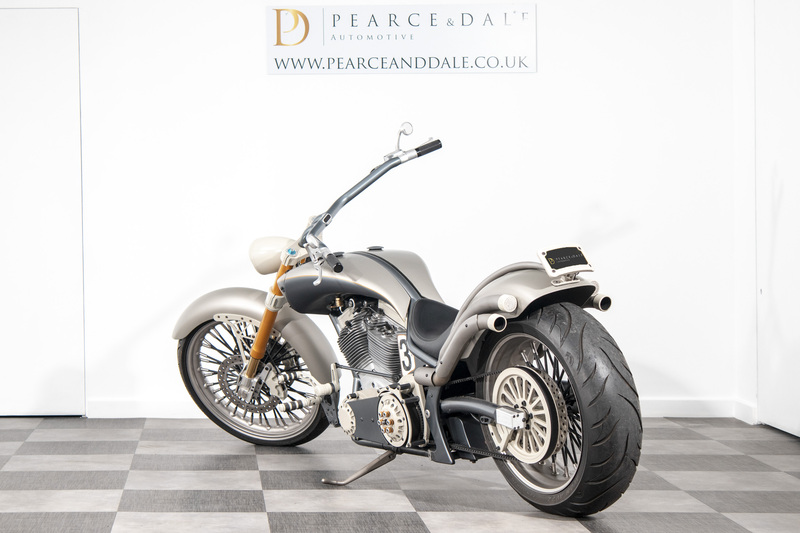 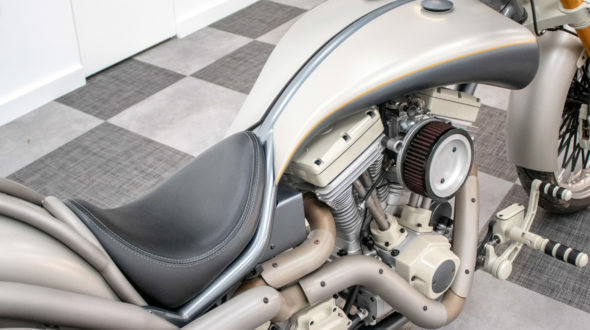 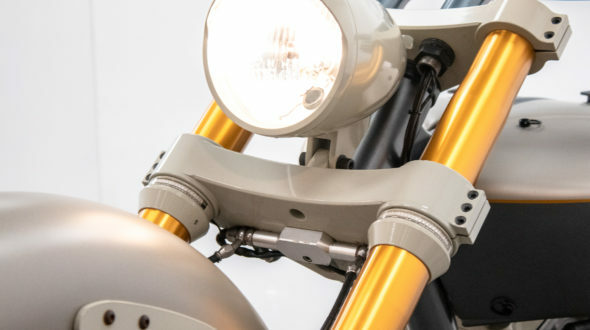 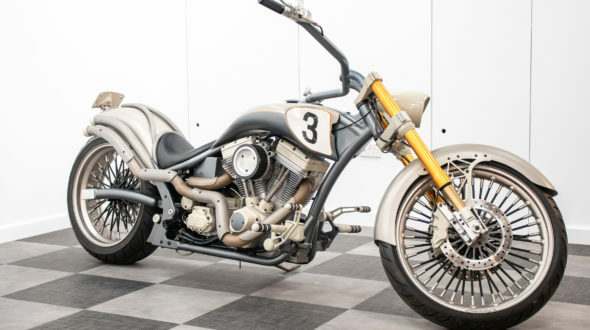 As you can see this motorcycle is built to the highest specification, costing in excess of £70,000, over 400 hours have been put into this build which makes it a one of a kind motorcycle, you certainly won’t see another one the same ! 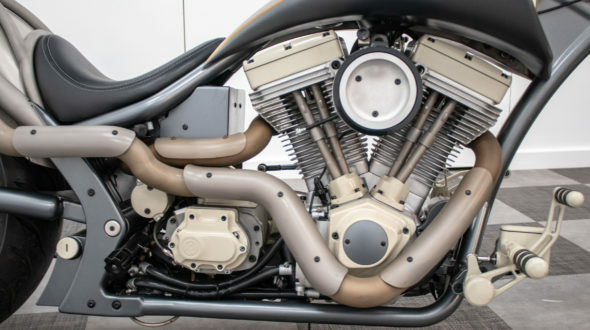 Battistinis are known throughout the world as creators of some of the best built motorcycles money can buy. 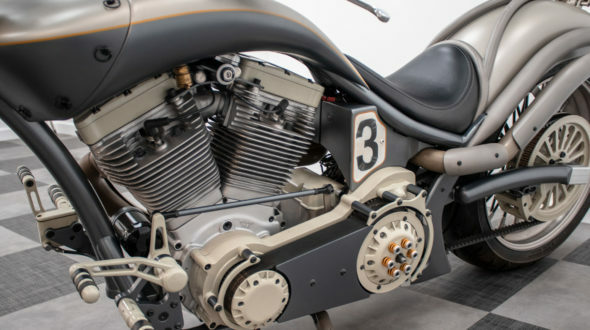 This bike is totally unique and unlike any other you may have come across. 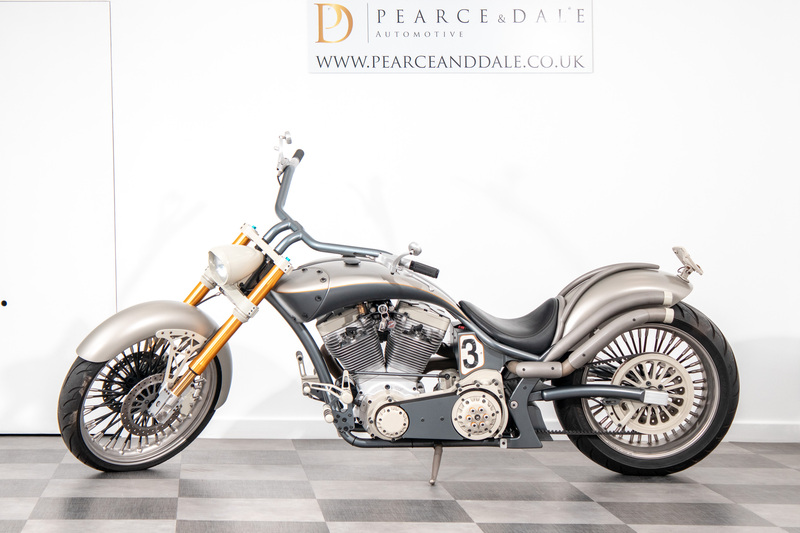 First registered in August 2012, after a 4 year build, this beautiful bespoke bike has covered just 1,490 miles. 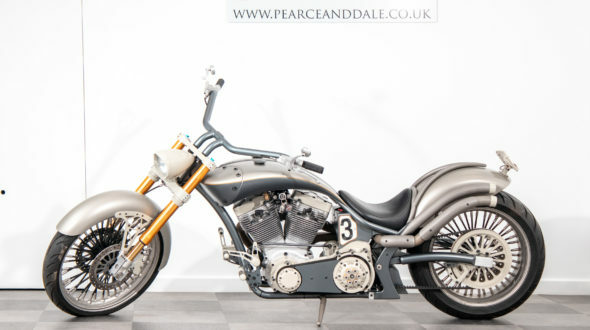 The previous owner has commissioned a few bespoke bikes over the years, slowly improving and refining the designs. 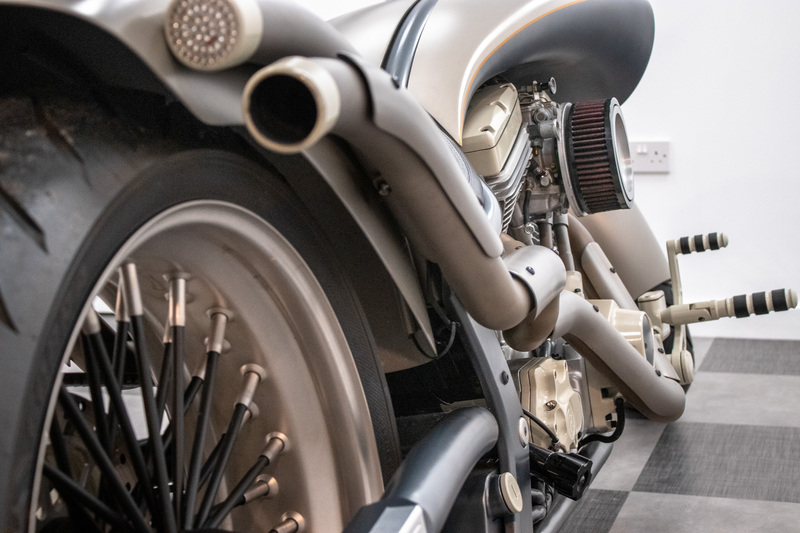 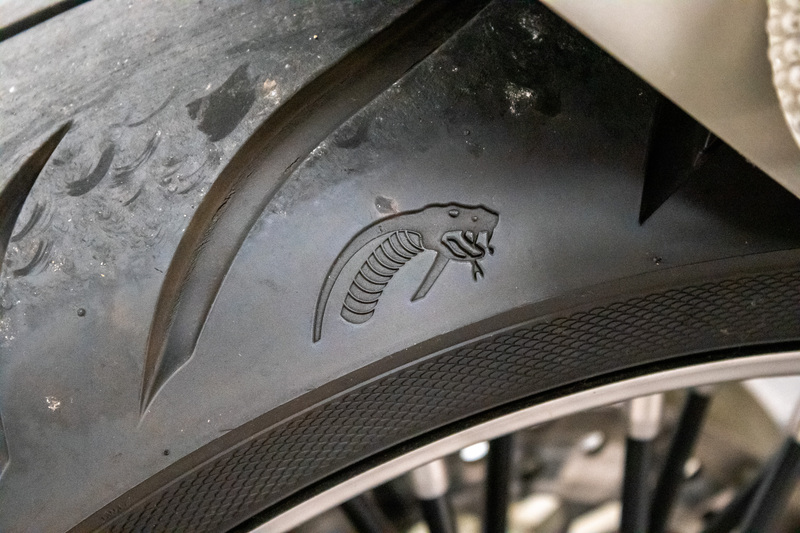 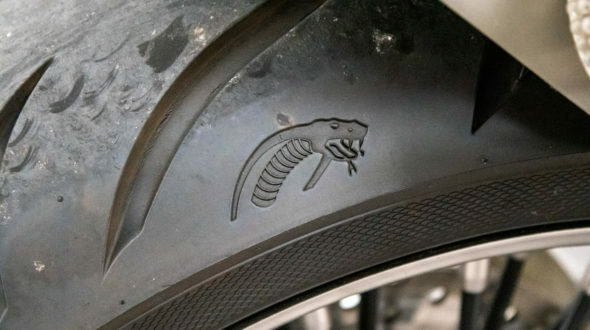 With years of experience riding bespoke bikes, the previous owner has really built something special to look at and admire, but something even better to ride. 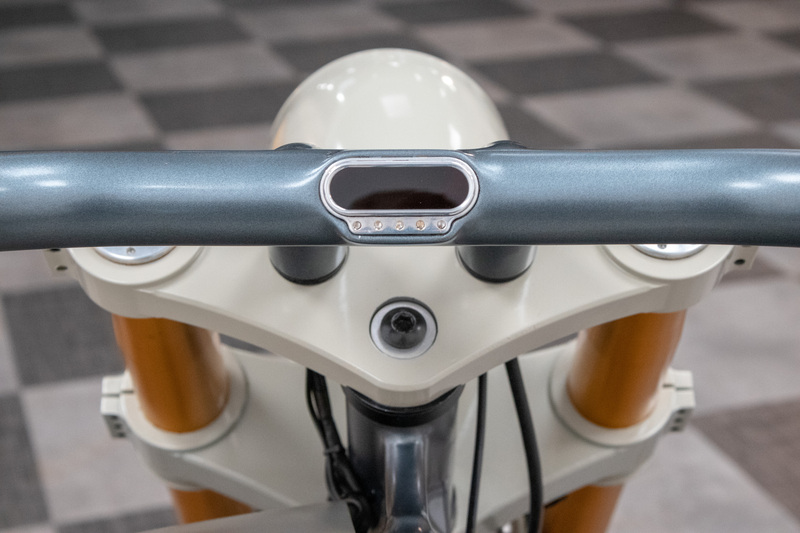 It’s tubular construction allows the bike to be lightweight and maneuverable, coupled with an offset open Primary the bike has a beautiful balance and handles very well for such a long wheelbase bike. 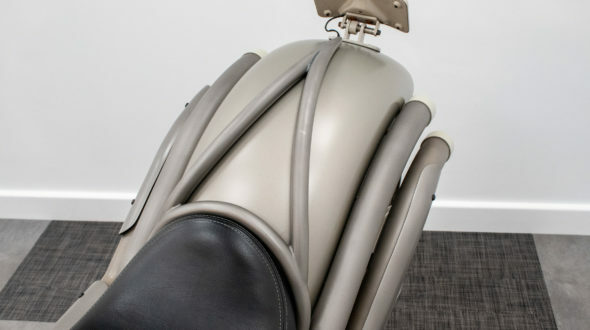 The idea behind this construction, was to hide and minimalise all controls and wires. 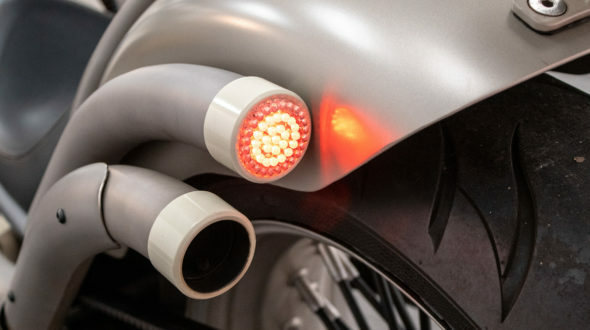 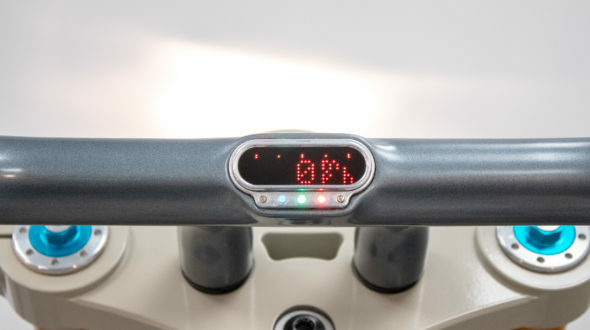 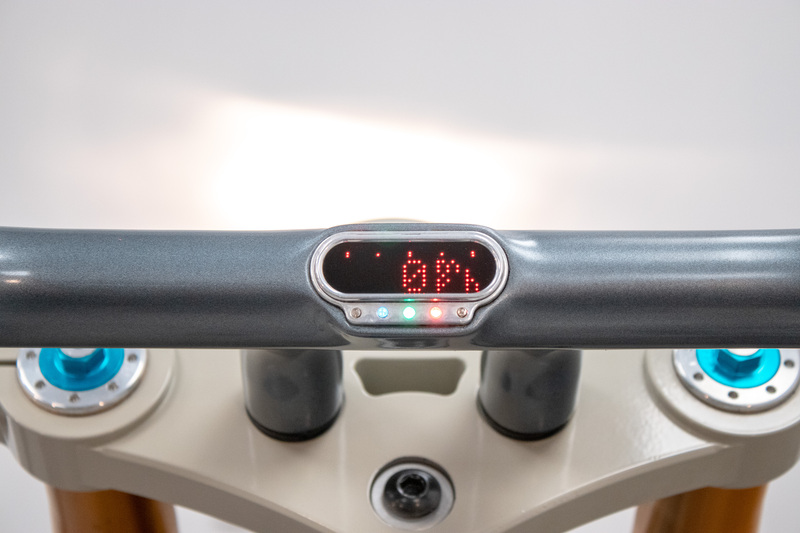 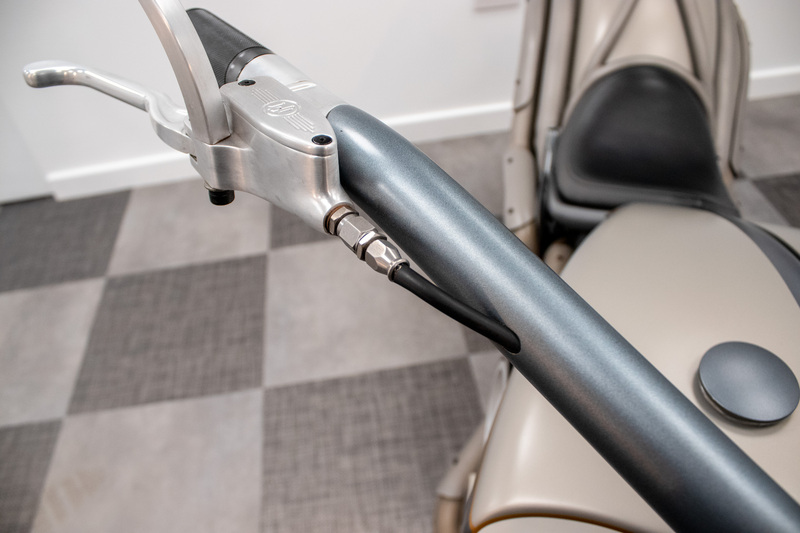 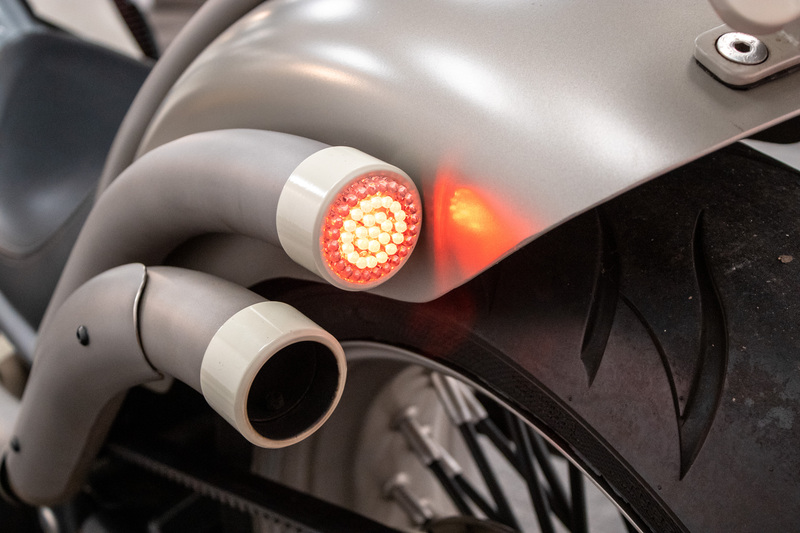 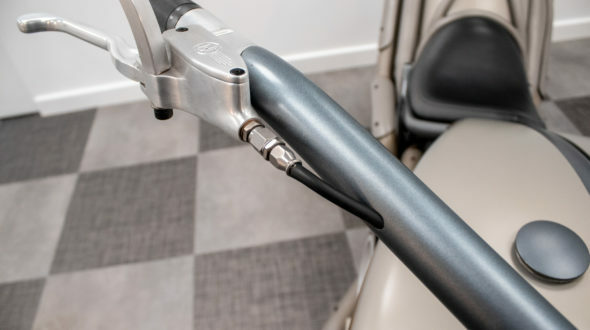 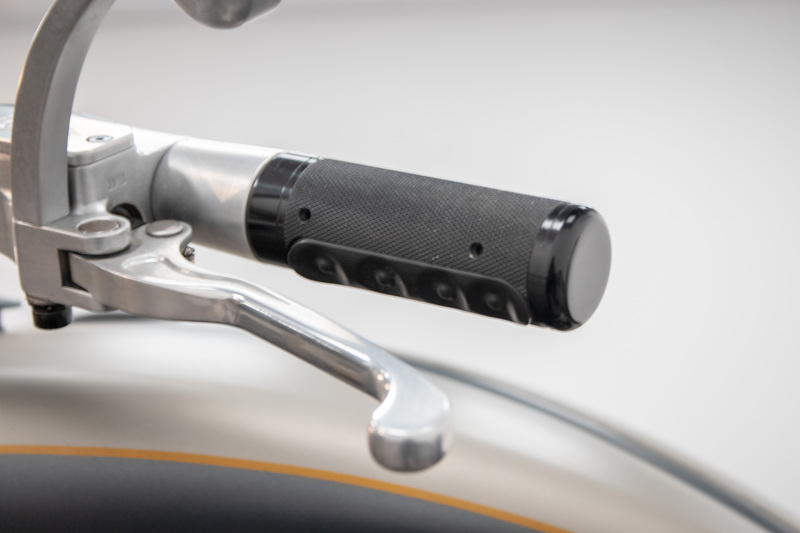 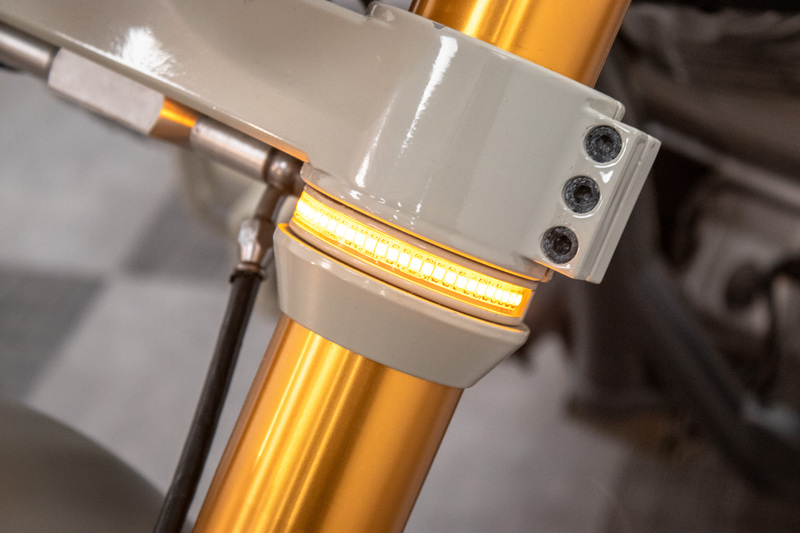 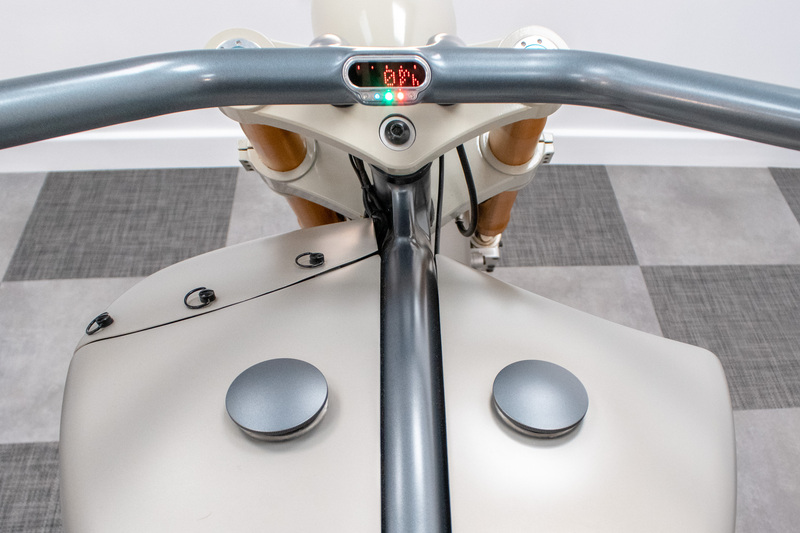 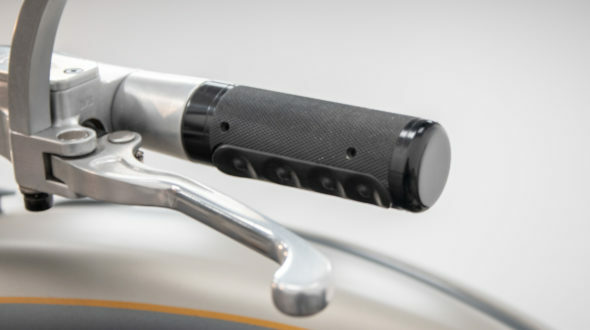 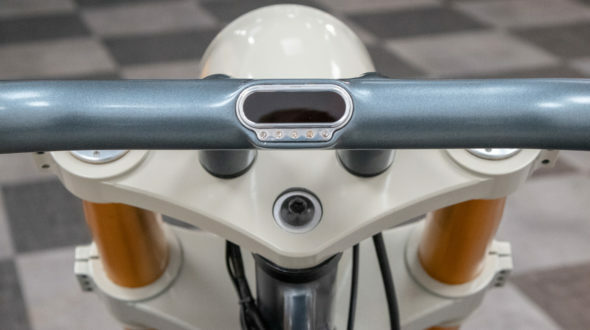 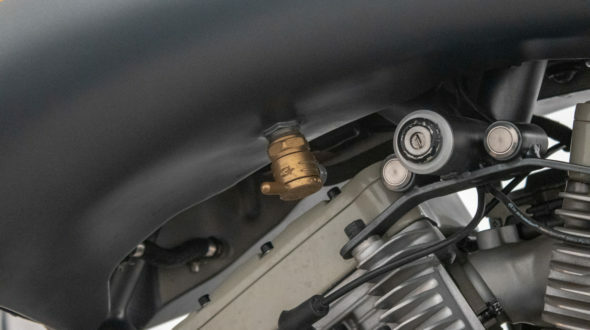 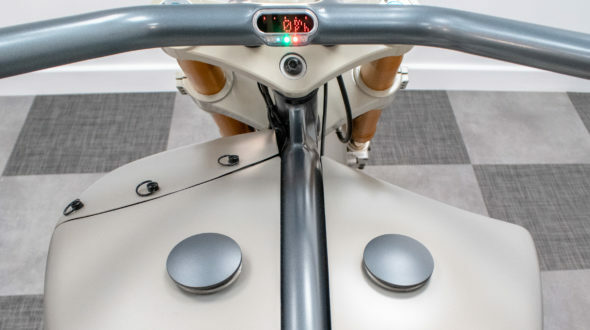 With a beautifully hidden ‘Grip Ace Switches’ built into left hand side grip there are no external switches or buttons visible on the handle bars. 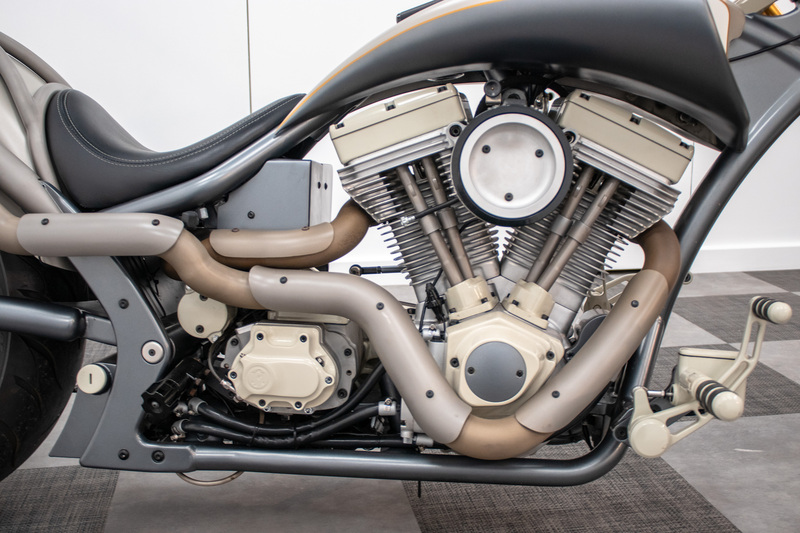 With a huge amount of detail on the bike you really must see it to appreciate how special this bike really is. 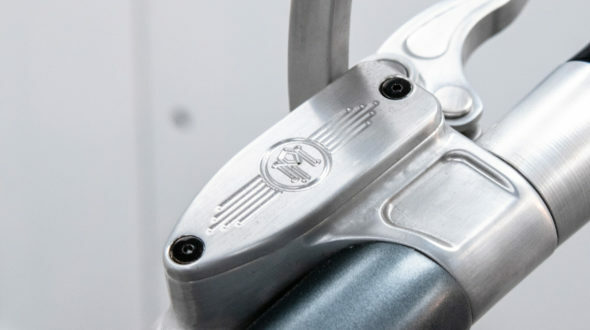 A full list of all components is available upon request.